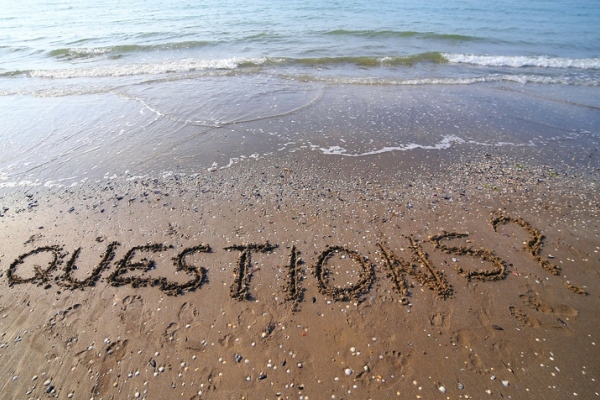 Questions are a basic part of our conversations, but they are quite difficult in English. Many students make mistakes with them. Here are some basic rules to make your questions correct. Let’s start with questions that have a simple answer ‘yes’ or ‘no’. Does Oscar have any brothers or sisters? Did you visit the Taj Mahal while you were in India? Does Oscar has any brothers or sisters? Of course, we often want to ask questions that cannot be answered with ‘yes’ or ‘no’. For these we need the question words: who, what, when, where, why, which and how. Where are Luke and Hannah? Why has Marie put her coat on? Questions words – especially who, what and which – can be used as the subject of a sentence. When this happens, you do not need to use ‘do’. Who did make this cake? Which teacher gives you the best grades? Which teacher does give you the best grades? How far is the station? How many friends did you invite? And finally, if you want to ask the meaning of a word, do not say any of the following, which I hear much too often in my classes! What does it mean [pristine/audience/inept etc.]? What does [pristine/audience/inept etc.] mean? Learn it and make your teacher happy! Things are really simplified. Thanks! I always look forward to watching your new posts! They are really very useful. That’s nice to hear – thank you! Is there a chat to talk to strangers? Not on this site, sorry. These clarifications were simple, but plenty in the meanings. Thanks for your teaching style. Thanks a bunch. The world need more people like you. I highly appreciate your article on /about “How to form questions in English” as I´m taking my relatives to English. . By the way, I would be thankful to Cambridge Dictionary when you could put your section “Speaker Guide” online. This is the very helpful for the learners!. Thank you so much for a such possibility that you give people! I´m learning English, then I´d like to telling you that your posts are really important. You rock! Simple n non complicated..very helpful for beginners! I see, Thank you Liz. I’m delighted. it’s is helpful indeed. Nice to be nice !there is no peace without forgiveness !